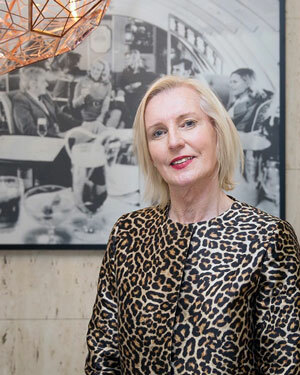 Still Point Turning: The Catherine McGregor Story is based on Catherine's own telling of her life's story, captured through a series of interviews that have then been turned into a play. The script was developed as part of STC's Rough Drafts program in 2016 and Catherine has been involved in the project from the beginning. What's it like to have a play dedicated to your life? It’s very humbling to have this amount of interest in my life – I still haven’t processed it properly. It’s been a joy working with the director Priscilla Jackman. She’s treated me with great respect and sensitivity, which has been very moving. It’s an incredible honour to have my story told on stage and I’m really touched by the passion that has gone into this project. How do you feel about having Heather Mitchell play you, rather than a transgender performer? I was thrilled when Heather Mitchell said she was going to do it. She’s a living legend of the Australian stage so it’s very powerful to know that she’s interested in the project. She brings a wealth of experience and credibility to the role. After meeting her I never had any doubts – my story couldn’t be in better hands. If someone said to me that a transgender woman should play me, I would challenge them to name who that should be. What do you hope the play can achieve? To humanise the experience of trans people and to propagate that to a wider audience is a really important and socially worthwhile thing to do. When you see the level of ignorance about us every time the matter comes to the fore – be it Trump’s recent ban on transgender service in the US Military, or the misconceptions which have been propagated in the wider marriage equality debate and those around gender fluidity. The torrent of online abuse I receive every time transgender issues are mentioned shows me that there is still an enormous way to go in dispelling the myths that fuel hatred towards us. And hatred is not too strong a word. So, I hope that if nothing else, sceptics who see the play will be privy to the suffering that’s part of the process of making the decision to transition genders. If it actually gives people pause to think that it’s not a frivolous exercise, that we’re not freaks, that we’re actually people who have suffered in our raw humanity before making this decision, I think we will have achieved something.